The weekend "Contract Time" program allows a foursome to secure a regularly scheduled starting time on a Saturday/Sunday of their choice. The program duration is (30) consecutive weeks (April 6 - October 27), but excludes the Club Championship weekend (August 10 - 11). The group must guarantee a foursome for a minimum of (26) weeks. Only times prior to 10:00 a.m. may be selected. The selected time will apply to the "peak season" weeks (April 20 - August 18). Times may vary slightly during the "shoulder seasons". Each golfer must bank a $80 deposit with their application. The deposit money will be used to pay for the final two weeks of play, less any no show charges. This program is for late day play, walking only. The first available daily time varies by the season. All play is offered on a first come first served basis. Play as many holes as sunlight allows for the reasonable price of $18. 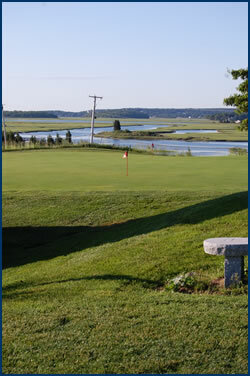 Check the bulletin board or call the Golf Shop at 781.544.0032 for the current start time. Golfers with plans to make frequent visits to Widow's Walk within a one year period now have the choice to prepay green fees with significant savings. There are four available options including 9-hole, 18-hole, weekend, and weekday play. Select the plan that best fits your golf schedule. Each option offers commitment levels of 10, 25, or 50 golf rounds. Discounts increase with the level of commitment. Prices start at $209. Savings up to 40%. See our green fees tab for information.